Semantink's Comic Savvy! 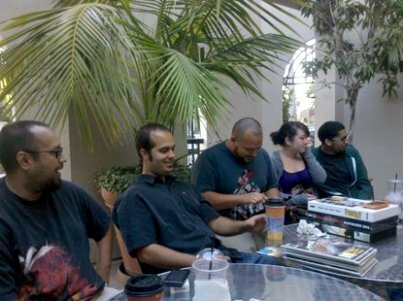 August 15th, 2010 Meetup! Top Photo: (L-R) Andrew Rakestraw, Rich Henderson, Yanglyn Ou, Lewis, and Shawn. Bottom Photo: (L-R) Lacey, Shannon Forrey, and Rich Kuhaupt. 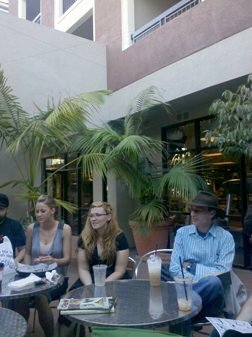 Above Photo: At The Milano Coffee Co located at 8685 Rio San Diego Drive, San Diego: (L - R) AJ Herrera, Andrew Rakestraw, Chris Henderson, Yanglyn Ou, & Lewis. 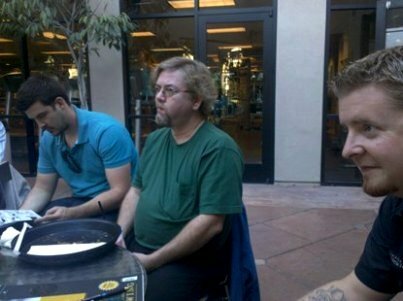 Below First Photo: (L-R) Josh, Steven, and Kevin Warick. 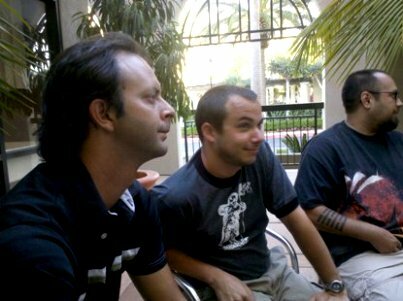 Second Lower Photo - (L-R) Benjamin Glibert, Joe, and AJ Herrera. 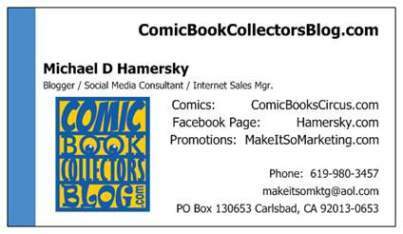 This past month I have been posting on my Facebook Group Page which is titled Facebook Comic Con | Make It So Marketing, (a.k.a. Hamersky.com), that I would be attending my fourth meeting at the Semantink's Comic Savvy after enjoying myself at the May 2010 meeting, the June meeting, and the July meeting! 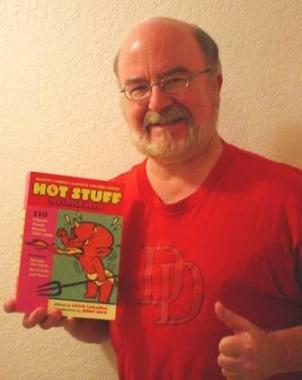 I also posted several links to the 'Facebook Event Invite Page' for those in the immediate San Diego Metro Area area or in surrounding counties, to attend the August 15th meeting of Semantink's Comic Savvy in the Mission Valley area of San Diego. 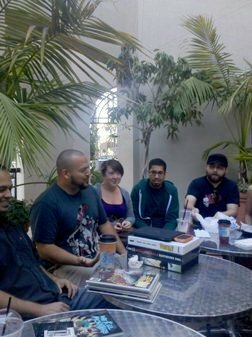 "Semantink's Comic Savvy is a place for comic book fans, young and old, to get together for a few hours of java-motivated industry chatter. 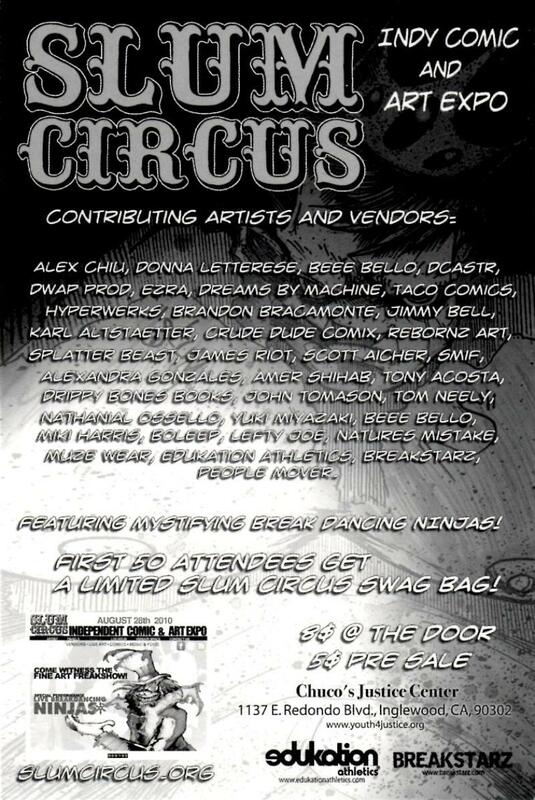 We will rap books, films and as many other art-related topics as we can squeeze in to our two hours together. But first and foremost: we'll... have a good time. Anyone and everyone is welcome to join; whether you're an industry professional, comic book enthusiast, or a new fan looking to learn a bit more about the vast world of comic books. This event's page, even though it is now over, can be found by clicking here. You can see who was planning to attend, maybe attending, etc. Once again the meeting was casual, "beginning" at 5 PM, and not going too much in depth at first, allowing those others that were expected to be there to find parking and walk to the coffee house. Please Note: Parking is enforced for a one hour maximum. You need to obtain a free parking placard to be parked there for over an hour. The parking limit has been strictly enforced. So get the parking permit at Milano Coffee House! The sponsor of the meeting, Semantink Publishing, was represented by four of the fiveteen persons attending. 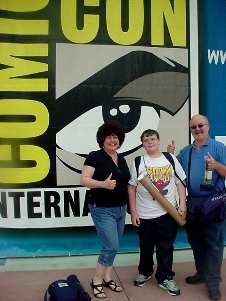 The topics were not only about indy comics, which is what Semantink publishes... but instead was mainly about the 2010 San Diego Comic-Con International which almost all attended at the end of July. 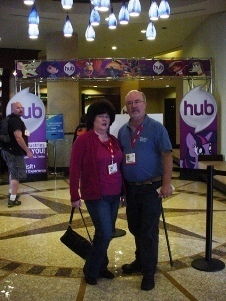 Also, once again the ages of the attendees were far ranging, from the mid 20's to the mid 50's. And there were also three females there among the fiveteen attendees last night. So it's NOT a 'boys club' sort of thing for those that want to attend in the future! 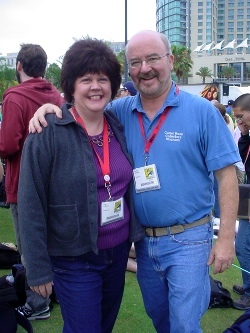 I was thinking about asking a question on the San Diego Comic Con that had just occurred between Semantink meetups. Which flowed with what the meetup moderator, Chris Henderson, was starting off the topics with. 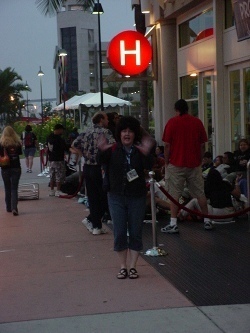 Since there were a few new attendees, we all gave our name and what we liked best and what was worst about the 2010 SDCC. Yanglyn spoked about picking up a Fraggle Rock graphic novel, which sounded a lot like the one that I have been sent to possibly review. 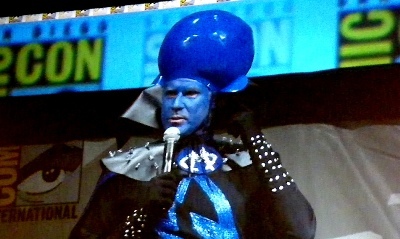 Shawn saw the ruckus (stabbing) at Hall H that was carried on several TV shows. Lacey split her time between the panels and walking the exhbit floor. Rich worked the Rudy McBacon booth. When I stopped by there, he was away from the booth, so I had a good visit with Frank. Andrew bought a shrunken head...which came up in conversation a few more times! Josh was not able to attend Comic-Con this year, as he was on deadline. 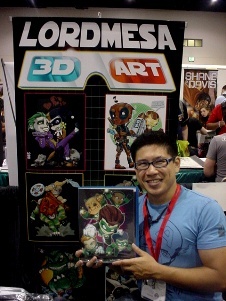 Steven bought art at Comic-Con. 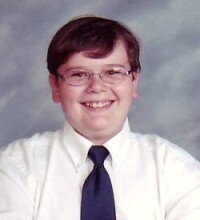 Kevin Warick ended up going afterall. 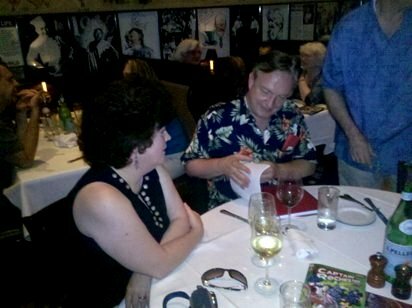 Benjamin mentioned that he was there to network, being the Publisher at Semantink Publishing. 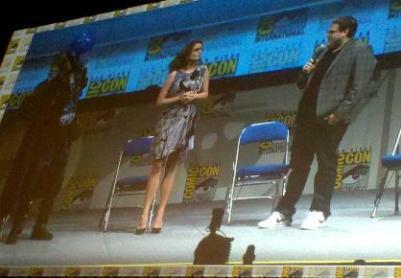 Joe saw the Hawaii 5-0 panel while waiting for The Walking Dead panel that he was there for. 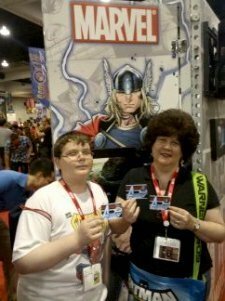 AJ had two highlights - 1) being taken out to dinner by DC, and 2) his signing at a booth for a couple of hours during the con. As for myself, I mentioned the great off-site dinner I've already blogged about: The Second Annual Captain Rochester Artists Appreciation Dinner. 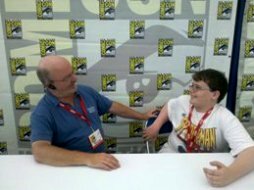 Other topics were discussed, almost all about the San Diego Comic Con, including the Supergirl Film - as Helen Slater, who played Supergirl had been there. 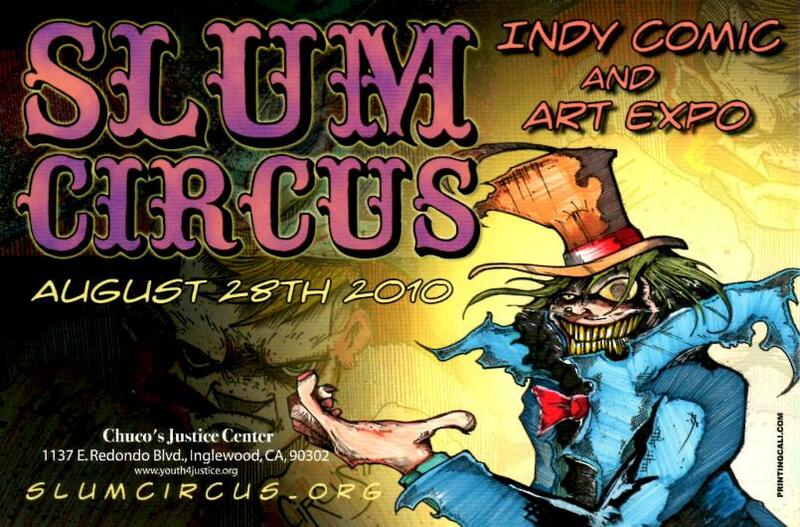 Also I brought up the fact that The 1st Slum Circus Indy Comic and Art Expo, that I blogged about here, would be happening on August 28th. I passed out the promo postcards that appear on that blog to those interested at the meetup. And lastly for me...The last three meetings I conducted a survey of those attending about specific questions I had wanted the group's feedback on. 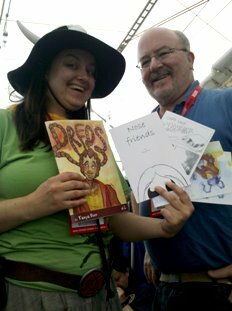 This time I asked a question that came to me after checking out the Freebie Table at the Comic-Con International: San Diego (a.k.a. 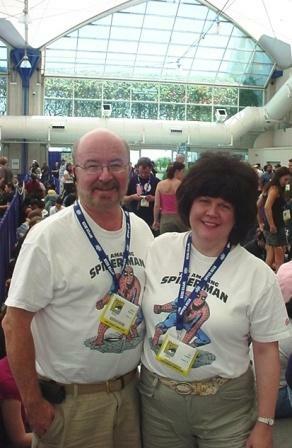 San Diego Comic Con). The question was: 'What did YOU think of what was displayed / passed out at the 'Freebie Table' this year?'. Four attendees had NO idea that there was even a 'Freebie Table'. Most of the rest didn't see anything of value to pick up. 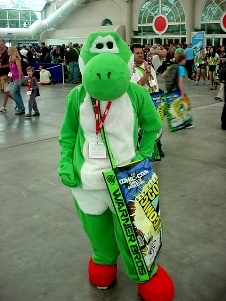 Only one of the group found herself picking up some items to follow up on after the Con. 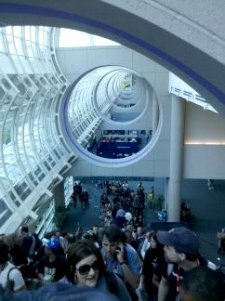 So, for you publishers, self-promoters, and indy creators...You might want to re-think your submittals to this area for the 2011 Comic-Con! Because the results of my small non-scientific poll show that most were not walking away with anything from the Freebie Table! 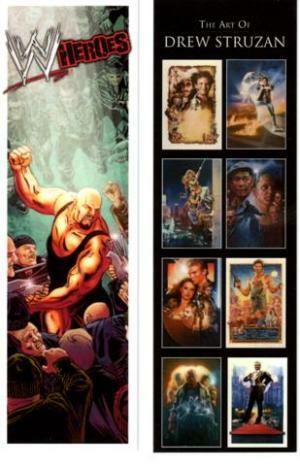 To thank those participating in my survey above, I distributed the two different bookmarks that I picked up at the Titan Books booth at the San Diego Comic Con. 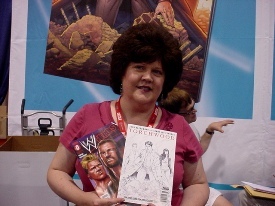 Tina and I had visited this booth, and I have blogged already on 'The Best of Simon and Kirby' book, while Tina blogged on the 'Torchwood' Special Variant Cover comic book. 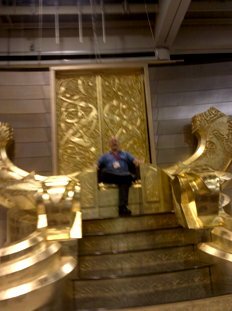 As you can see from the above paragraphs in today's post, I really enjoyed attending this meetup sponsored by Semantink Publishing. 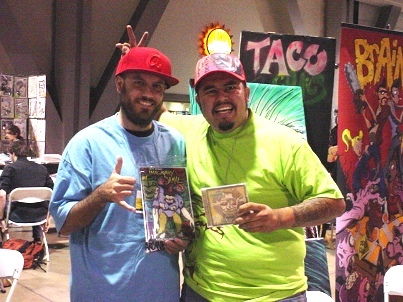 The attendees ranged from casual comics readers to collectors to those in the industry itself. That is what is 'cool' about attending an informal meeting like this. If YOU are in the San Diego Metro Area, I urge YOU to attend the September meeting! I'll be sure to post that event page at my Facebook Group Page after it is posted at Facebook Comic Con: Make It So Marketing! My thanks this month to Chris Henderson, who acted as the informal 'moderator' to keep the meeting lively. Good topics, Chris! Plus my Thanks to Semantink Publishing for sponsoring this meeting. You can find their Facebook Fan Page by clicking here and of course there will be a link to the September 2010 'Facebook Event' in the near future as mentioned earlier! AND My Thanks again to all of YOU reading this blog and our archived blog posts, now totalling over 3,210 posts in number! Above: The Front Cover to The Clutch Cargo Vol 7 DVD from EastWestDVD.com! At The Top Left: An example of the Syncro-Vox style of cartooning with real lips voicing the character! At the Bottom Left: Vinnie - Today's Guest Blogger! 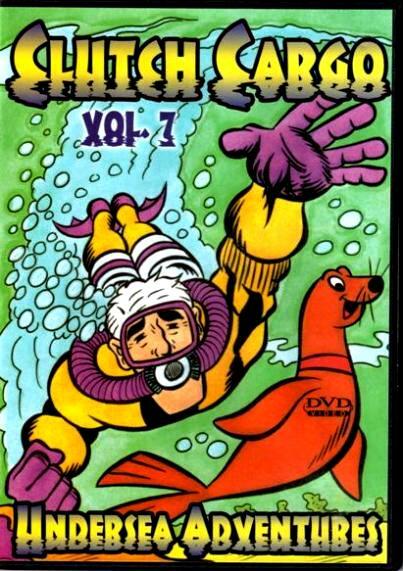 The Clutch Cargo Volume 7 on DVD from EastWestDVD! 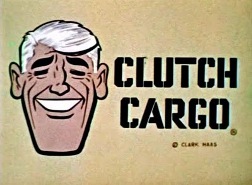 Yesterday, my dad and I went to a collectible store and bought multiple DVDs, but the only one he opened for us to view was the Clutch Cargo DVD. So, Tina, dad, and I watched the DVD. He told me that he used to watch a few chapters of this cartoon as a child, and 50 years later, I am doing the same thing. 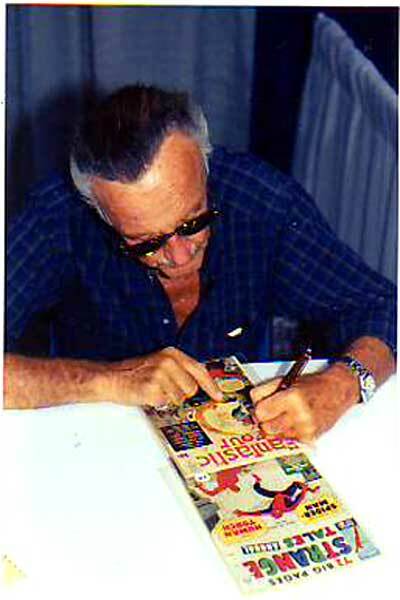 This is why he picked this up, and opened it to share with us. Below are my thoughts on the Clutch Cargo Volume 7 DVD. Because I view modern day cartoons, this looks very outdated. I haven't seen any cartoon in modern days that looked as bad as this, but it is only due to the lack of technology they had back then. Whenever the characters were up close, their eyes wouldn't blink, and they had a real mouth. It seemed a little creepy as it looked as though they were staring at you, and were talking at whatever was looking at it. If I read the credits correctly, this process was called syncro-vox. Whenever they had character talking, but not up close, they would always conveniently have their mouth hidden by something. On the DVD, there were 3 episodes, with each episode containing 5 four minute chapters, telling that episode's story. They would have a recap of the previous chapter before the clip and I almost felt that half of the chapter was the recap. Along with that, they kept recycling footage, using it whenever they could so they wouldn't have to produce it again. It was actually kind of funny spotting where they had already used that scene from. What I found to be very funny, was that when it ended the 3rd collection of episodes, it restarted back from 1, meaning, you could possibly have your child sit there watching it all day without them knowing it was the same thing. And finally, on the Comic Book Grade Scale, I would give it a 5.5 out of a possible 10.0 scale, which is a FINE MINUS (F-) letter grade. That's the end of the first part of today's guest blog by Vinnie...My thanks to him for sharing here today what we watched this weekend! If YOU'd like to start viewing these cartoon episodes, here's a good place to start with on Volume 1: Clutch Cargo - Volume 1 ! 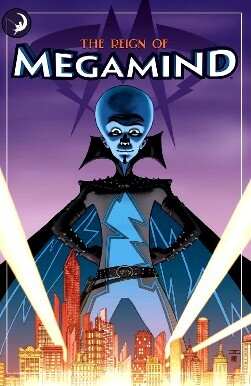 Also...If YOU liked his review on this DVD, you may enjoy reading his reviews on: The All New Super Friends Hour Season 1 DVD, The Ultimate Underdog Collection Volume 1, Planet Hulk, Coraline, Ponyo, X-Men Origins: Wolverine, Sonic the Hedgehog TPB Vol 1, Cloudy With A Chance of Meatballs, just to name a recent few! #40 'The Missing Mermaid' with chapters 196 - 200. #44 'Water Wizards' with chapters 216 -220. And Episode #23 'The Midget Submarine' with chapters #111 - 115. I never was able to catch all these episodes when I was younger. I might see a chapter or two, but even then it was very strange at that time to see the talking lips in the cartoons! Which is why I opened this DVD last night to share with Vinnie and Tina! To let them see what this cartoon series was about. You see, the cartoon had five chapters. 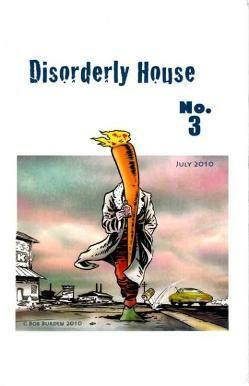 Each chapter could be aired on a weekday, and then the 5 compiled in a half hour Saturday morning cartoon show in syndication. It actually makes a lot of sense to recap the previous chapter because a 'real day' would have passed since then. Not justifying this format, just explaining it to you that haven't viewed this cartoon series before. The sales clerk told me that it wasn't a modern cartoon series before she rung it up, as the rest of the DVDs were anime DVDs. I told her that I understood that, and she explained that her kids were a little disappointed in the format when she opened her copy. 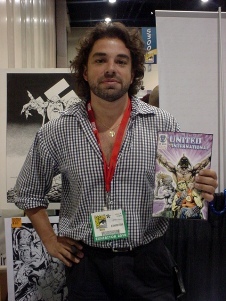 The show was written by Clark Haas, and produced by Cambria Productions. 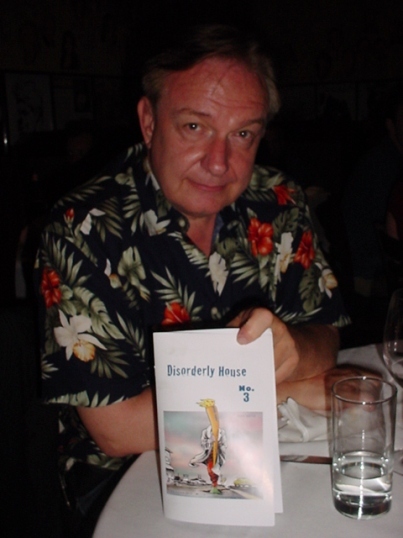 The show used the voices of Richard Cotting who was a radio actor and voiced Clutch, Margaret Kerry who voiced Spinner and Paddlefoot (the Daschund), and Hal Smith who voiced Swampy and others. 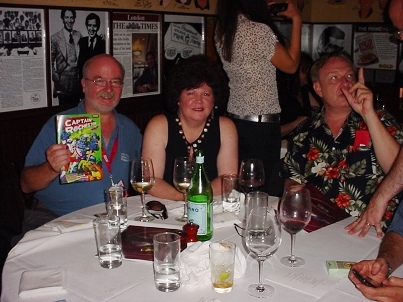 An interesting note here...Margaret Kerry has her own web site where she sells a Clutch Cargo cartoon photo card. See this link for that! And Hal Smith is probably better known as 'Otis' on The Andy Griffith Show! Historical Note: This show was the first TV show to use the syncro-vox optical system. It had been used for talking animal commercials before that! As for the 'limited animation' issue. You have to know that what footage the Disney Studio would produce for $250,000 would be produced for only $18,000 by Cambria Productions! Thus the BIG difference in quality! As a final historical note...Cambria Studios had 2 other syncro-vox TV series! Space Angel in 1962 and then Captain Fathom in 1965. They also had a different type of show in 1965 titled 'The New 3 Stooges Show' without the moving lips feature. I personally found viewing the DVD a novel yet strange experience. The bongo beat in the theme music was familar, and the moving lips, but I hadn't seen the Saturday compilation shows, so seeing the 5 chapters in each episode run together was a little repetitious in replaying what had gone on in the previous chapter(s). But that isn't the way it was originally presented each weekday! For comic book fans, would you believe Alex Toth had a hand in this show?! As well as Cambria Productions' Space Angel and Captain Fathom! I can't end without stating that the syncro-vox was invented by Edwin Gillete, who was a co-partner in the Cambria Productions company. 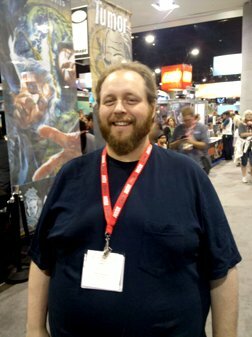 Clark Haas went on to be associated with Hanna-Barbera, and worked on a few shows, including Super Friends that Vinnie has already blogged about! My thanks to Vinnie and Tina who watched this DVD with me last night! AND My thanks again to all of YOU reading this blog and our archived blog posts, now over the 3,210 total posts in number! 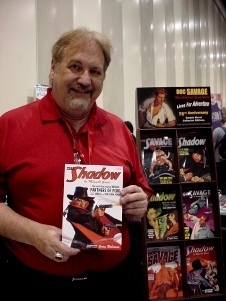 For those of you that didn't know me before today...I first set up as a 'dealer' at the 1972 San Diego West Coast Comic Con (SDCC) at the El Cortez Hotel. 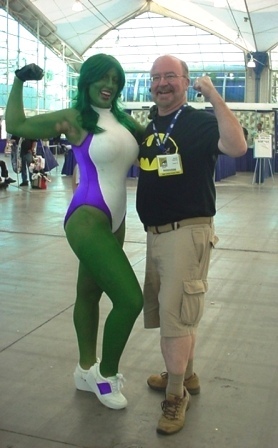 So I've been around comic conventions for a little while, LOL! 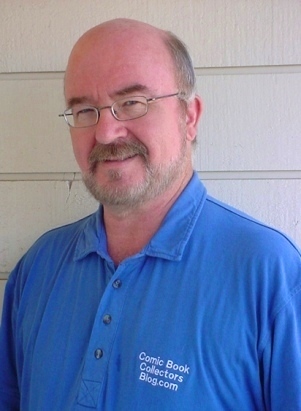 is blog post is written for the IE Browser standards. Chrome, Safarai, Netscape, Firefox and the others serve the page up differently. The screen display resolution is best seen at the setting of 1024 x 768.